Selling On Behalf Of A Client Available First Week Of May! 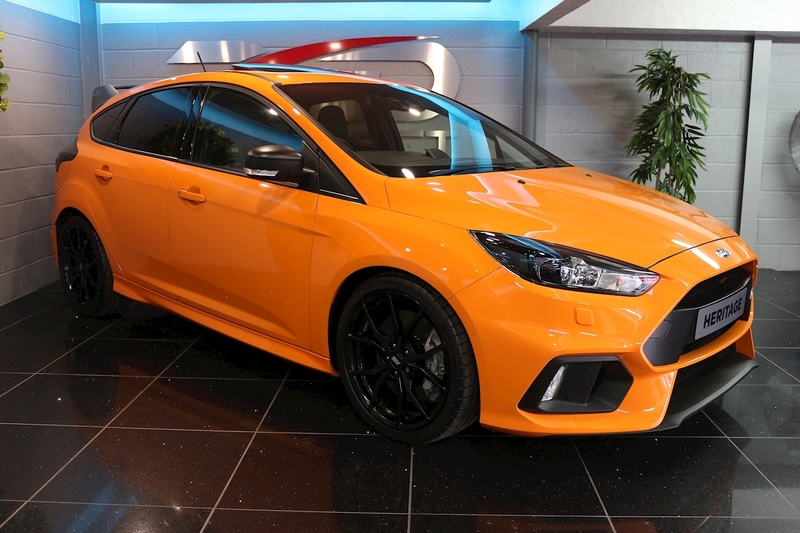 RS Direct Are Proud To Offer Today This Limit Edition Ford Focus RS Heritage Edition, These Rarely Become Available And Are Hot Property With Only 50 Being Commissioned To Celebrate 50 Years Of The Ford RS This Also Coincided With The End Of Production Of The Current MK3 RS Focus. Each Car Came Fitted From The Ford Dealership With The Mountune FMP375 Performance Upgrade, Special Unique Paint Deep Impact Orange, Contrasting Matt Mirrors And Rear Spoiler, Factory Glass Sunroof, Quaife Limited Slip Differential, Premium Ford SYNC3 DAB Navigation System, Apple Carplay, Rear View Camera, Also Includes 10 Premium Sony Speakers Plus Subwoofer, RS Recaro Dynamica Shell Seats, Digital Climate Control, CD Player, USB Media Stream, 6 Speed Manual Gearbox, Trip Computer, Luxury Pack: Power Fold Door Mirrors, Ford Keyfree System, Cruise Control With Speed Limiter, Rear Parking Sensors, Privacy Glass, 19inch Forged Alloy Wheels, Brembo Callipers, Active City Stop, Carbon Interior Additions, The Lower Tax Bracket Of Just £140 Per Year. 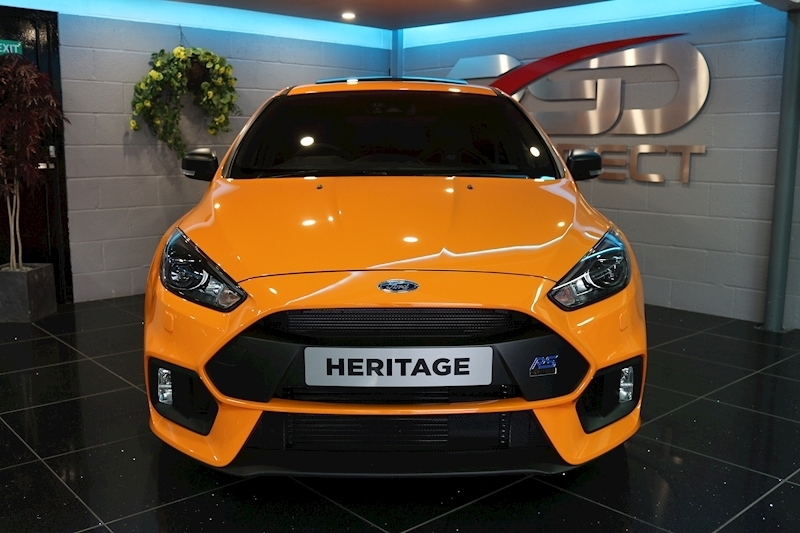 A Unique Opportunity Exclusively Available At RS Direct UK. 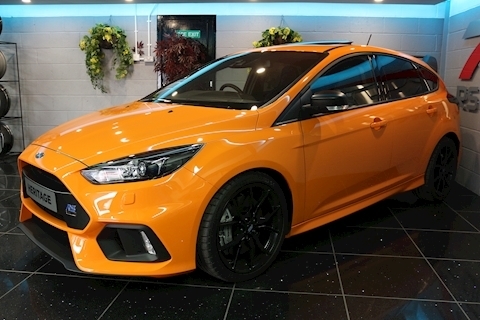 Production Has Now Ended On This Particular RS Model, Part Exchange And Finance Terms Available By Request, Our Finance Can Be Approved In Under One Hour Allowing You To Drive Away Today Or Why Not Take Advantage Of Our UK Delivery Service And Finance Arranged From The Comfort Of Your Own Home.